​Devrunda Temple is a beautiful representation of the fine detailing and craftsmanship that was the hallmark of the Hoysala architecture. 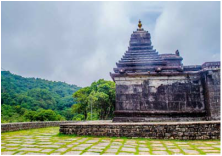 Constructed between the 11th and 14th centuries AD, the temple gives the destination its name. The temple dates from the period when the Hoysala empire was at its peak. 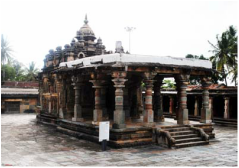 Located at the entrance of the town, the temple is a remnant of the Hoysala Empire that ruled this region between the 11th and 14th centuries AD. 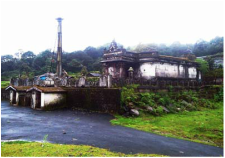 This place is known as Dakshina Kashi, here you can find Rameshwara, Veerabhadreshwara, Bahireshwara, Parvati and Ganapati. This temple has been built in over night and it is said to be over 500 years old. Magajalli falls is a roadside waterfall nestled in the Western ghats near the town of Sakleshpur in Karnataka. It’s calm, serene, undisturbed and easy to miss unless you have a local person with you. Very nice waterfall cascading for about 20 feet in its glory. Waterflow will be there almost throughout the year. It’s just 11 kms from the homestay.